In preparation of the children returning to school I have set my alarm for 6:20am this week. Now I don't get out of bed as soon as the alarm goes off but I have been out of bed by 6:35 am the second day in a row and secretly, I love it! It is so peaceful in the house while the kids sleep so I am able to read my bible, pray and journal. It also feels nice to get back into a routine. It's good for my soul! Today was the second day in a row we were out of the house by 9:30am. We went to visit a good friend and her little guy who is only 2 weeks younger than Cole. Now the only bad part about it was that I missed Ray's call from B.C. so I have not spoken with him since last Wednesday. I miss him and I miss the boys too. I am just so grateful that they are away together. I forgot to share some AMAZING news yesterday, the Scrapshotz kits are back!!! Sandy will be taking preorders beginning September 1 for the first kit in October featuring the Fancy Pants "Happy Together" line. Bookmark this link http://www.scrapshotz.com and keep checking the site for kit details. I have previously subscribed to these kits I highly recommend them, great products as well as value for your dollar! 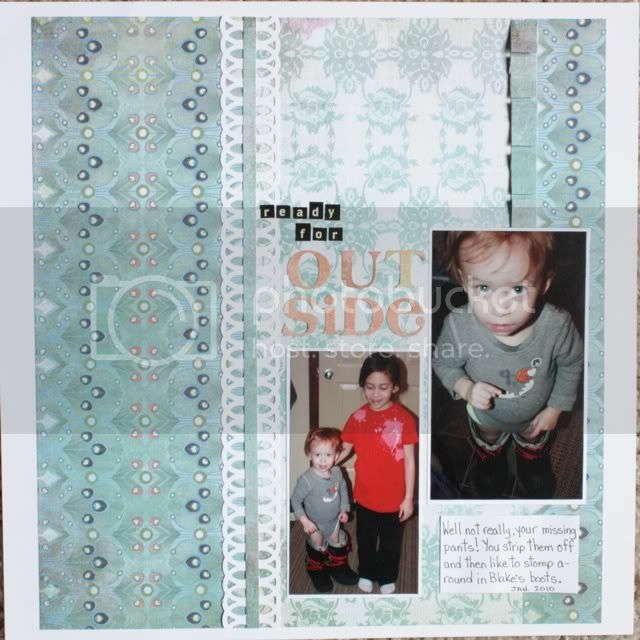 Lastly, here is a layout I did for a challenge on the Scrapshotz blog. The patterned papers and orange alphas are Basic Grey, the small alpha stickers are from Cosmo Cricket and the white cardstock is from Michael's and I used the Martha Stewart lattice punch for the white border. 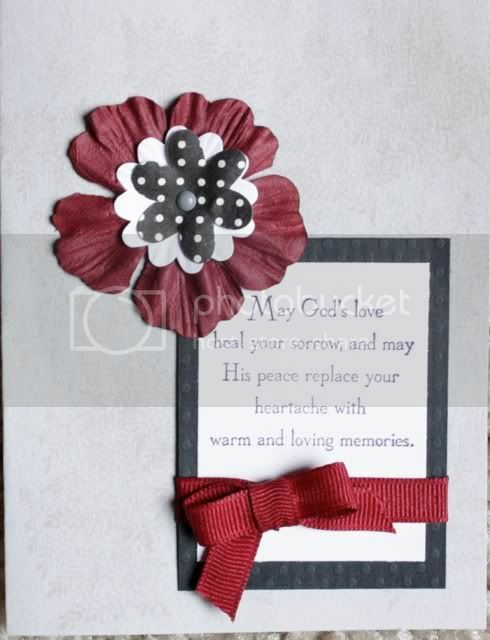 Next is this sympathy also created for a Scrapshotz card challenge See the forum for details. It's the All About Cards thread. The card base is card stock from Michael's. I stamped it with a SU stamp and Versamark ink. 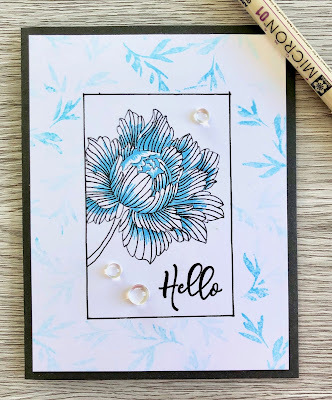 The sentiment is also from Stamping Up, ribbon from American Traditional Designs, flowers are Prima and Making Memories and brad is Basic Grey (I think).